MP PAHUNT Admit Card 2018: The applicants who will successfully complete the application process for PAHUNT entrance exam for various courses and be waiting for the MP PAHUNT Admit Card to participate in the exam this is the great news for everyone. The Vyapam or Madhya Pradesh Professional Examination Board will go to conduct the examination in the month of July 2018. The more information belongs to MP PAHUNT Admit Card 2018 has given below. For this entrance examination process, the MP PAHUNT Admit Card will be available 10 days before the examination date. The candidates who want to join in Ayurvedic, Homeopathy, Unani, Naturopathy, and Yoga Test must qualify in the PAHUNT conducted by MPPEB. So we advise every applicant will get ready to download the MP Vyapam PAHUNT Hall Ticket when the board declared. To download the hall ticket for this entrance examination everyone will need an application no and date of birth in the specified format. Applicants will need to check the official notification for more updates about MP Vyapam PAHUNT entrance examination. The MPPEB PAHUNT Admit Card will be available soon to download. The examination board will officially upload the candidate’s examination hall ticket through the official website. Actually, the MPPEB did not declare the admit card release date officially. In most of the institutes, boards etc will release the admit card at least one week prior to the exam. In the same way, we expected the MP Vyapam will announce the admit card in the month of July 2018, because the examination will be held in the 4th week of July 2018. For this entrance test, the application process has started through online will starts in May 2018 and ends in the month of June 2018. So the applicable candidates get the admit card to appear for the exam. The applicants will download their admit card from below provided download link directly at the end of this article. For more details about PAHUNT entrance test just click on Sarkari Recruitment. The Madhya Pradesh Professional Examination Board will conduct the Entrance test every year to provide the admissions in various courses like Ayurvedic, Homeopathy, Unani, Naturopathy etc for interested candidates. In admission process, the organization initially conduct the written test through online or offline. Qualified candidates will need to participate in counseling process directly. The counseling process will depend on cut off marks and performance of the candidate in the exam. For more details check the notification of MPPEB. Each and every applicant will need to check the information when the admit card downloaded. If there will be any corrections then immediately inform examination board. Without admit card candidates will not allow participating in the examination because it had important details about candidate and exam. Along with admit card, everyone will need to carry an identity card like driving license, voter id etc, and read the instructions of examination in the back of admit card. The more additional details about MP PAHUNT Exam like steps to download the admit card, important dates, important documents need to carry for exam etc are specified below. Candidates will need to visit the official website of MPPEB, www.vyapam.nic.in. Search for the notification belongs to PAHUNT entrance test. 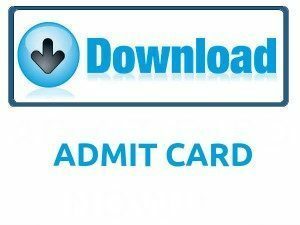 Search for the MP PAHUNT Admit Card download link. Click on download link and enter the required details like application number, date of birth etc in the specified format. Submit the entered details and download the admit card. Submit MP PAHUNT Admit Card at the exam center. Through above article, we have provided the details about the MP PAHUNT Admit Card and entrance exam information and hope this will more helpful to who will apply. Applicants can also leave a comment through below comment box for further clarifications. For more updates keep following our website sarkarirecruitment.com. Aspirants can also see the results of the examination in Sarkari Result. Thank you.